It’s January and we want to launch a campaign to get wine lovers everywhere to make a New Year’s resolution to try new wines! Are you bored of tasting the same grapes all the time? Then 2017 is the time for change! Swap your Chardonnay for a Viognier, Pinot Grigio for a Riesling, Merlot for a Grenache, or Cabernet Sauvignon for Touriga Nacional. You’ll be taking your taste-buds on a wine tasting adventure this year, and you could even take it further by taking them on a wine-tasting holiday, in one of the regions producing your ‘New Wine’, to find fresh favourites and discover the home of their production! My number one top-pick destination is Alsace, the perfect place to head to this year, to get those New Year’s resolutions started in style! Home of the Riesling grape, Alsace is a beautiful destination in its own right- with quaint villages and half-timbered houses lining the streets there’s plenty of fantastic culture to soak up. 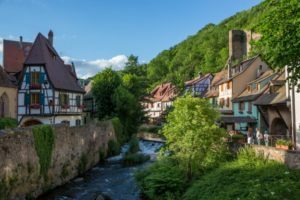 You’ll find our Alsace tours here. Cabernet Sauvignon slurpers… make the switch today with a tasty Touriga Nacional; a hidden gem of a grape from Portugal, the high tannins and black fruit favours make it a great replacement for your Bordeaux-bred Cabernet. 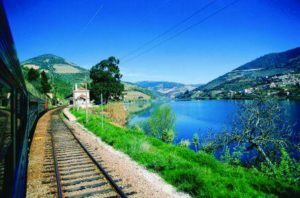 With our Essential Porto and Douro tour, you’ll be able to discover this tantalising wine in the stunning Douro Valley!